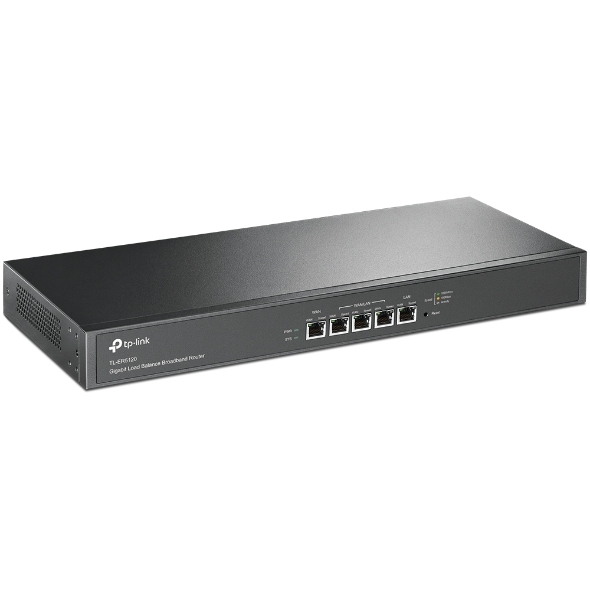 The TL-ER5120 Gigabit Load Balance Broadband Router from TP-Link possesses exceptional data processing capabilities and a rich array of features including Load Balance, Access Control, DoS Defense, Bandwidth Control, and Session Limit. Suitable for small and medium-sized enterprises. 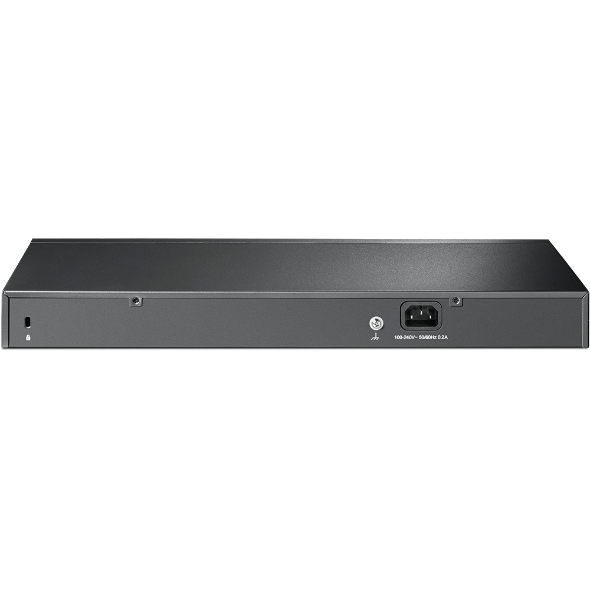 Equipped with a 64-bit dedicated dual-core network processor, the router can deliver high-speed connections to a large volume of client devices as part of a secure and easy-to-manage network. For defense against external threats, TL-ER5120 features automatic protection to detect and block Denial of Service (DoS) attacks such as TCP/UDP/ICMP Flooding, TCP Scanning, Ping of Death and other related threats. For better management of the internal network, TL-ER5120 allows administrators to set rules to block specific websites and limit staff access to specific services such as FTP, HTTP, and SMTP. Captive Portal authentication facilitates the network resource control. When configured, user access can be captured, authenticated, and classified. Appropriate network resources can be allocated for particular users or the guests. Professional lightning protection technology1 is designed to prevent electrical surges from penetrating the interior of the device, to be discharged harmlessly into the Earth. In this way, the TL-ER5120 is designed to prevent lightning damage of up to 4KV in the well-grounded connection conditions. This feature ensures that networking infrastructure investments remain as safe as possible from one of Mother Nature’s more violent elements. 1 Internet plans greater than 100 Mbps will be limited by the product’s Ethernet WAN port. 2 Protection against lightning and electro-static discharge may be achieved through proper product setup, grounding, and cable shielding. Refer to the instruction manual and consult an IT professional to assist with setting up this product.